Virtual Velo Cycle Training opens February 2! The world's finest e-bikes are now on sale at VeloScience! Take advantage of amazing pricing on the smartest Swiss technology. It's impossible to ride one without smiling! Stromer ST2: Regularly $6999, on sale for $4,800! Stromer ST1: Regularly $4399, on sale for $2,800! While supplies last, so don't wait! Stop in for a test ride today! Alpe d'Denison Hill Climb on Friday July 29! Join us Friday July 29 for the inaugural Alpe d'Denison Hill Climb Time Trial! No need to have a racing license, just some enthusiasm for going uphill! Ebaugh Drive, on the north side of Denison University's campus, is a tough 1/3-mile ascent with a little bit of everything that would make a Schleck brother happy. We'll have prizes for the overall and age-group winners, including one-of-a-kind custom tee shirts so you can wear your KOM or QOM proudly! KARAOKE! Need I say more? Moe's Original Bar-b-que will be hosting a party afterward with their famous BBQ and beers from Homestead Brewing. It's going to be a blast! S-Works Open House at VeloScience, January 19, 7-9pm! Join us for some craft beer and snacks while our Specialized rep Evan Perrone discusses the amazing technologies the make S-Works bikes the winningest in the world. Cap City CX at Lobdell Frisbee Park, brought to you by Team VeloScience! Come out and test your fitness every Wednesday evening this summer! VeloScience is hosting an informal time trial series to give you a chance to win bragging rights and a higher threshold! When: Every Wednesday evening at 7:30 (June 24 through September 2). First rider rolls at 7:30, so please be checked in by 7:15. How: Riders will be started at 30-second intervals. When checking in, please give your estimated finish time so we can establish a start order. A holder will assist you with a neutral standing start. Because we cannot close the road at the turnaround, your time will be measured in two 4.4-mile segments, with a 1-minute delay between so you can safely make a U-turn to begin the second half. This is an informal event, and we will not be charging any entry fees. The series is open to all participants (kids under 18 must be accompanied by a guardian). All first-time participants must sign a waiver of liability to be allowed to participate. The road will be open to traffic, so the guiding rule is safety. DO NOT pass another rider if you cannot safely do so due to traffic on the roads. There is no victory worth risking the lives of yourself and others. Drafting is illegal, and good sportsmanship is mandatory! This TT should be great preparation for triathletes and time-trial specialists alike, or for anyone hoping to satisfy their need for competition. Come join us for the fun! E-mail geoff@velosciencebikeworks.com to schedule an off-hours appointment for fittings or test rides! VeloScience + Specialized = AWESOME! VeloScience Bike Works has partnered with Specialized Bicycles! Starting in February we'll be an S-Works dealer, stocking their Pro Tour-winning Tarmac, Ironman-winning Shiv, and Classics-winning Roubaix. Amazing feats of engineering from the most exciting company in the bike industry. We'll also be stocking some other key bike models below the S-Works level, and we'll have access to any of their products. Coming soon, we'll have Specialized footwear, helmets, pumps, bags, water bottles, and more. 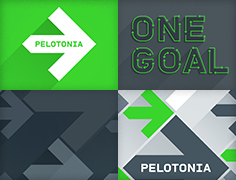 Pelotonia registration is about to open, and VeloScience is proud to be a supporting shop. We will extend the following offers to registered Pelotonia riders from now through August 15, 2015. To take advantage of these specials, please give your registration number to cashier at checkout, and please notify mechanic of Priority Status during repair check-in. New Year's Day Ride - Kick Off 2015 Right! Hosted by Central Ohio Triathlon Team and VeloScience Bike Works Racing Team. Come join us for a 35-mile road ride and celebration to kick off a great new year! Bring your friends! Who: Everyone is welcome. There will be A, B and C level groups to accommodate all skill levels. This is a no-drop ride, and each peloton will regroup frequently. Dress appropriately for cold weather - we'll ride if the roads are ice-free and the temperature is above 28ºF. There are multiple options to take a shorter route back to VeloScience. Get your map here. Where: VeloScience Bike Works, right next to Starbucks at Market Square in New Albany. When: 1:00-3:00 pm on Thursday, January 1st. Party at the store immediately following from 3:00 to 5:00 pm. In the event of inclement weather, we'll postpone until Friday, January 2. Check our Facebook Page for updates! What: Pizza will be provided by COTT, and VeloScience will provide liquid refreshments, including a keg of our master brewer Scott Elliott's finest IPA. Plus good music, great people, and a fun beginning to the new year! This will definitely be more fun that a Polar Bear Plunge! World Class Triathlon comes to New Albany this Weekend! Come out and watch this weekend as the the Challenge family of multi-sport events makes its North American debut right here in New Albany! Over 50 professional triathletes have committed to racing this 70.3 Triathlon on our local roads. VeloScience is the official bike shop of Challenge New Albany, and we'll be on hand to help with mechanical support and all your last-minute needs. Visit us at the race expo at New Albany High School Friday 4-8pm or Saturday noon-8. All day Saturday we'll be hosting events at the store, with a BMC demo day and Reynolds CyclingWheel Testing. Test ride the finest bikes on the planet and the fastest wheels available. E-mail usto reserve your spot in our Reynolds Test Ride, and we'll set up your bike with some crazy carbon speed for a road ride starting at 1 pm Saturday. Or check out a BMC road or mountain bike to experience what intelligent Swiss engineering can do for your riding experience! Sunday we'll be hosting a finishing party as athletes race to the finish line on Market Street, right in front of the store. Stop in to celebrate your great race, watch the pros chase records, and cheer on your friends and family! The first pro 70.3 athletes will be reaching the bike-to-run transition at New Albany HS shortly after 9:00 am, followed by 1800 more who dared take on the Challenge! Ride BMC this Sunday! BMC Demo Day! Join us at VeloScience this Sunday, June 29, 9 a.m. until 3 p.m. The BMC Demo Van will be here with a wide selection of BMC's amazing road, mountain, and triathlon bikes. Bring your bike with you, and we'll take all your measurements to set up a bike for you to test. It's a great chance to do a real ride out on your favorite roads on one of BMC's beautifully engineered machines. Come experience the difference yourself, and find out why BMC bikes are the stuff of legends. Be a 10-speed Hero! Our 10-off-10 Sale starts NOW! Be a 10-Speed Hero! Save an additional 10% off already low sale prices on select 10-speed drivetrain road bikes! While supplies last, take an additional 10% off the sale pricing on road bikes equipped with Shimano Ultegra 6700 and 6770 Di2, SRAM Red and SRAM Force 10-speed component groups. We have a great selection of amazing machines ready to ride! Unless you absolutely must turn it up to 11, you can ride the best for less! Ridley Excalibur with SRAM Red: Reg. $4999, Sale $3999, NOW ONLY $3599! BMC Gran Fondo GF01 with Ultegra 6770 Di2, Reg $6999, Sale $4999, NOW ONLY $4499! Cannondale SuperSix EVO with Ultegra 6770 Di2, Reg. $5199, Sale $ 4199, NOW ONLY $3779! Litespeed Li2 with Ultegra 6770 Di2, Reg. $4999, Sale $3999, NOW ONLY $3599! Cannondale CAAD10 Black Inc. with Utegra 6770 Di2, Reg. $4199, Sale $2999, NOW ONLY $2699! BMC PR01 Women's with Ultegra 6700, Reg. $3799, Sale $2799, NOW ONLY $2519! Come check out these awesome specials and many more! Hurry - these are going FAST! Cyclecross season is just a few months away, so now is the time to gear up for a fun racing program! We have a great selection of 2014 Ridley CX bikes in stock. For a limited time, all Ridley CX bikes are 30% off! (In stock bikes only). Ride the hottest CX machines on the planet! Ridley took 7 of the top 10 spots at the 2013 World CX championships, and countless victories throughout the year. Please join us for a fun evening of bike demos, tech clinics, food and drink, and good friends at VeloScience as we host BMC Night. Learn about how the amazing engineering of the finest bike line available can benefit your riding experience. 4-8 pm at VeloScience. Reynolds Carbon Wheels - Winter Special! Reynolds invented carbon clincher bike wheels, and they have been leading the industry in innovation and design ever since. We're proud to be a stocking dealer, with a great selection of top quality road wheels on display. Come check out the sweetest new hoops, or schedule a test ride on one of our demo sets! Experience how Reynolds can add excitement to your ride. The Reynolds Assurance Program is an extended no-questions-asked crash replacement warranty that is available to purchase for $250 for each wheel set. While supplies last, VeloScience Bike Works will throw a RAP card in with your wheel purchase! Upgrade to a hot new set of Reynolds Carbon wheels when you buy a new bike at VSBW, and we'll take 15% off the wheels...and you still get a RAP card too! Act quickly - this offer lasts until the end of February 2013! Learn more about the fastest wheels available at Reynolds Cycling.